I adore this prompt, because there are so many characters that even though their books are done I want to go back to and find out how they're doing. In whatever way that was possible - another novel, just a peek into their lives, I would hand over chunks of my soul to go back and see how some of them are doing. Below are ten that I really miss and want back, no matter how briefly. You may be noticing a pattern with my old favourites, they come out time and time again (you should see the copies of the books, they're incredibly battered) but that is merely a sign of how much they mean to me and how much I love them that they make reapparances so often! No I'm not talking about that epilogue, that doesn't count. I want a book just after the battle of Hogwarts. I want to see these three try to piece the world back together again. I want to see them fight to make it a better world. I want to see Hermione get to take her NEWTs after all and to battle for the rights of non-human magical creatures. I want to see Ron and Harry try and pull the Ministry back from the darkness and take over. I want to see the PTSD they all suffer and them trying to pull their lives back together and learn how to live without the constant threat of darkness and horror hanging over them. I suppose I kind of get my wish in a way because The Trickster books follow Alanna's daughter so you do get a tiny peek into Alanna's life now she's all grown up. She also makes appearances in the Protector of the Small Quartet, but that doesn't compare to actually having another book where we get to see what adventures she's up to now. She was my first heroine and I miss her. I adored Fire and the entire case of characters in the Dells and I miss it. I miss it so much. I love that we get a brief cameo for her in Bitterblue, but it wasn't enough. I wanted to see her grow up more, become a mother to Hanna and see her relationship develop further. I want to see the Dells pick itself back up again after the war and prosper. Can I just go and live there please? I loved seeing Kami step up and defeat the bad guys in the Lynburn Legacy trilogy, but I want to know what journalistic terror she is wreaking on the inhabitants of Sorry in the Vale now. We get so used to seeing her in high stress situations where someone is about to die or the world is about to fall apart, that I want to have a brief respite and check in now that the war is won. I want to know how they're rebuilding their lives and if Jared is still as hot as ever. 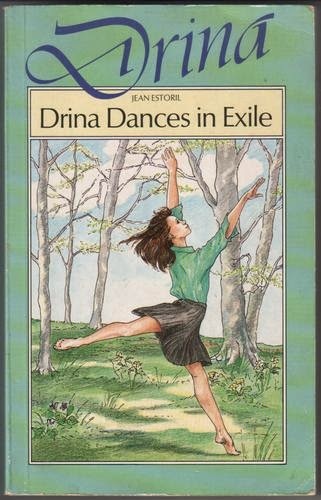 We watched Drina grow up in the eleven book series following her from age 10 to 21 and ended with her married and on the cusp of stardom as a ballerina. These were a regular read when I was a child and I would love to see how she's doing now. How is married life with Grant? Did she have kids? Is she now teaching at the Dominick school? How is Rose? All questions I would love to have answers to. The whole circus, all of it. Every character, every act made an imprint on my mind and I want to have another chance to explore. I want to see what act the twins are doing. I want to know how Bailey is managing to keep everything together. 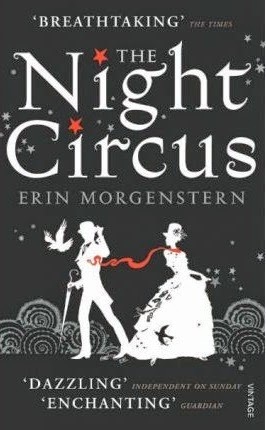 I want to see how the circus has aged and adapted. But mostly I just want the chance to escape into the magic again. 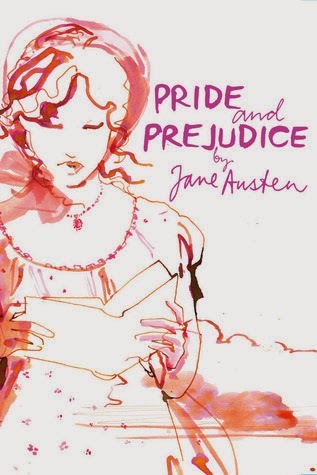 I think everyone who has read Pride & Prejudice wants a sneak peak back into Elizabeth and Darcy's world to see how they're managing with married life. That much is clear from the sheer number of books on the market offering a glimpse of what happened next. I don't want that though, I want an Austen original glimpse back into their lives. 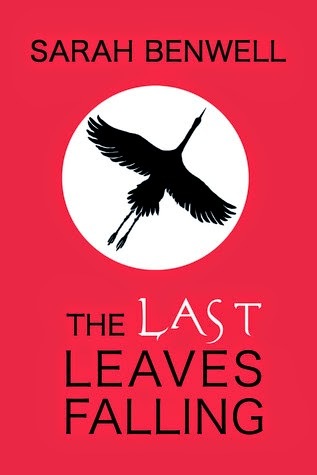 The ending of Last Leaves left me sobbing, but it also left me with a lot of questions. Not with how it ended, I thought it was perfect and fitting for the story Sarah was telling. What I wanted to know was how did those around Sora deal with the aftermath. Did they manage to pick themselves back up and keep going? How did it change them? I just want some reassurance that they're doing ok and to see how everything has changed for them. So there are my top ten characters I'd like to check in with (or pairs. Or trios!) You know a book has left a lasting mark on you when you find yourself thinking and wondering about what has happened since the events of the book, and all of the above are very firm favourites. But what about you? Who would you like to check in with given the chance? 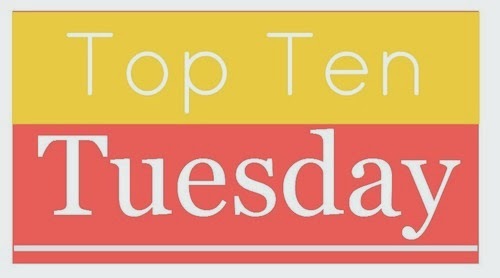 Tell me or link me to your top ten in the comments below! 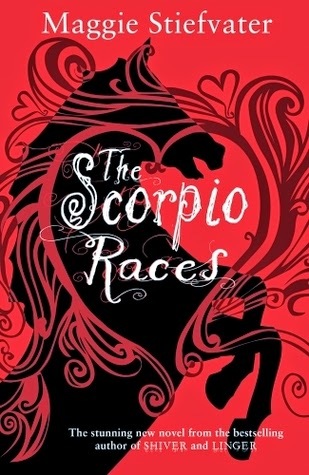 Oh, I can't wait to read the Scorpio Races! I do understand what you mean though - I want to know a little bit more about the character's futures, not risk the perfection of the stand-alone book with a whole sequel. But I HAVE SO MANY QUESTIONS!! Always more on Elizabeth and Darcy too! I'd love to check on the golden trio and just talk to them! 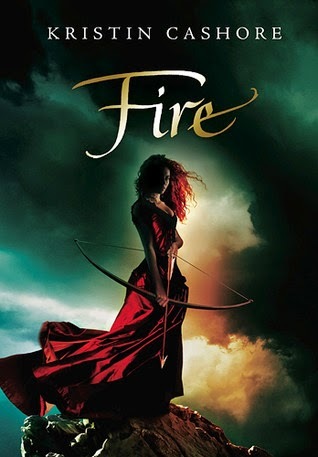 Also, Fire is one of my favorite characters ever, I loved that book so much! It's fantastic isn't it! I'm going through a major Fire binge on the audiobook (insomnia plus audiobooks is the best) and I just want to check in and see how she's negotiating life at court! Great list!I kind of regret not including Harry Potter in mine because even though the series consists of seven books,I always find myself wishing for more!When I saw the topic I immediately thought of Harry,Ron and Hermione but for some reason didn't include them.Anyway,great list and thanks for stopping by my blog and commenting! !Happy reading! I'd really love to see how they're handling their twenties and beyond! Basically I just want more of them, anything I can get! Plus the marauders. I should just go and live at Hogwarts really... Thanks for stopping by! Totally agree with the Harry Potter crew. I love those characters and books and would love to know how all of them are doing now. They were just such a big part for so many of us growing up - I'd love to see how they're handling life beyond school! Harry and Co. have been a popular one for people wanting more! Definite internet high fives! Song of the Lioness is *FANTASTIC* it was what started my love of fantasy and I adore them! Would love to know what you think! Thanks for checking out my Top Ten! This list is so perfect. SEAN AND PUCK. Totally agree with you that the book is perfect as is but I would never turn down any extra info about their lives now. I don't know what I would do if Stiefvater returned to Thisby. Probably screech and flail and then spend the entire time rocking in a corner because THISBY IS PERFECT AND DO NOT TOUCH BUT ALSO YES PLEASE. Ooh, I didn't even think of Fire. Also, I love that cover better than the US version. 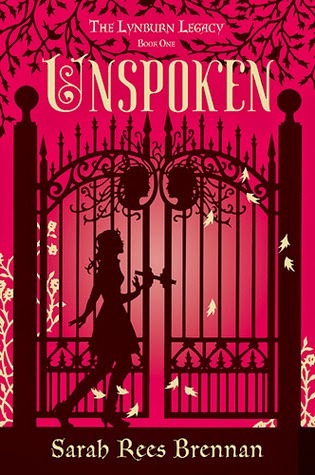 I adore the UK covers for Kristin Cashore's books. Fire is my favourite though! The US covers are interesting, but I have to say I love seeing the character's in full on each cover. The Review Diaries is now on Bloglovin!